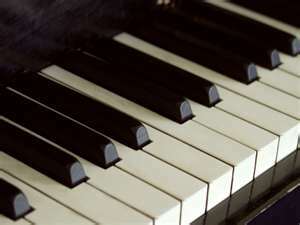 Are you an adult whose piano or keyboard sits unused at your house? Would you like to have some music and piano knowledge to better help your children with their lessons? Would you like to start an enjoyable, musical hobby? This could be the class for you! how to play over a dozen songs. ​​This small group class is designed for beginners and no prior musical experience is required. You must have an acoustic or digital piano for at-home practice. To make the most of the class, it is recommended that you be prepared to review and practice an average of 30 minutes per day for the duration of the course. Fee for the four-week class is $95 and includes all music and materials. Classes will be held on Wednesday nights from 7:30 to 9:00 pm. When you register, you will automatically be placed in the next class on the calendar. Keyboard rentals of $20 are available for the duration of the course. Add a note in the comments section of the order form. Every student who has taken this course has rated it a 10 out of 10 for meeting their expectations - sign up now!